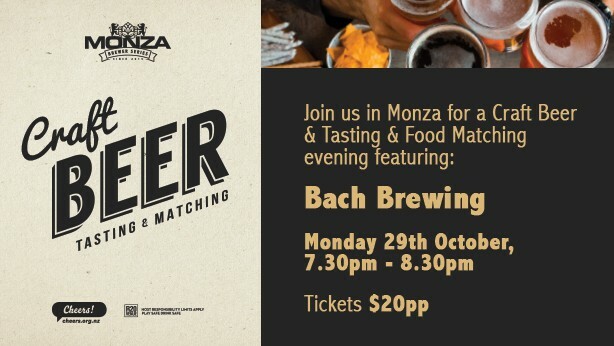 Join Monza Sports Bar for a Craft Beer Tasting & Food Matching evening featuring Bach brewing! This is a chance to meet the brewer and ask those burning questions about craft beer. Our executive Sous chef will be on board to explain the food pairing behind each bite, maybe something you could try in your own kitchen? Click on our website to purchase tickets or pop into Monza and see one our friendly team to purchase your tickets.